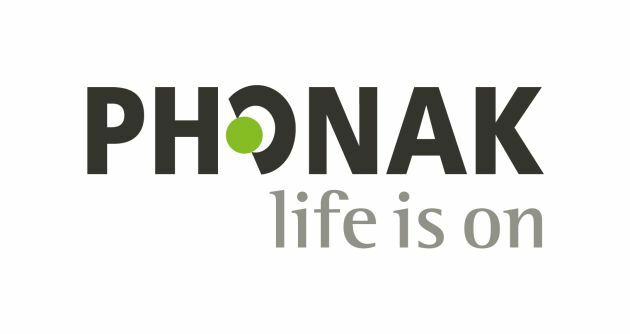 Phonak Audéo™ B hearing aids are receiver-in-canal (RIC) aids that utilise Phonak’s fantastic new Belong platform. Designed to give you the freedom to live your life as you want, they are suitable for mild to severe levels of hearing loss. The Phonak Audéo B-R uses a built-in lithium-ion rechargeable battery. 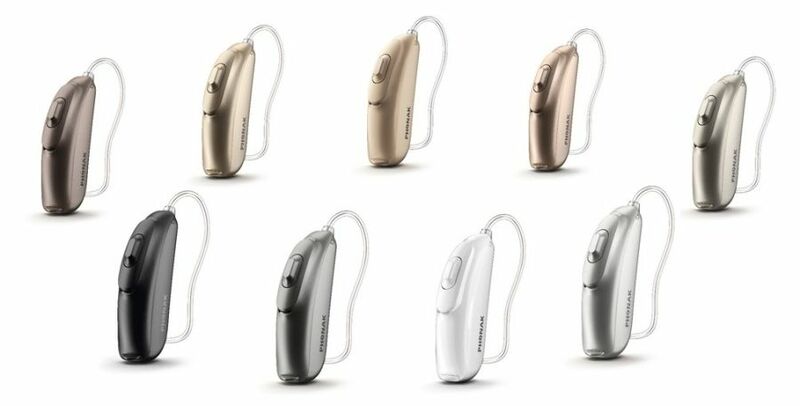 This groundbreaking technology makes Audéo B-R one of the fastest charging and longest lasting rechargeable hearing aids available. You won’t ever have to worry about the hassle of replacing batteries in your aids again. Lithium-ion offers reliable battery performance, lasting for the lifetime of the hearing aid even after repeated charging over several years. A single 3 hour charge can provide up to 24 hours of use, or if you’re in a rush, a simple 30 minute charge can give up to 6 hours of usage time. Hearing aid wearers typically go through 100 batteries per year in a standard aid, so it’s environmentally friendly too! 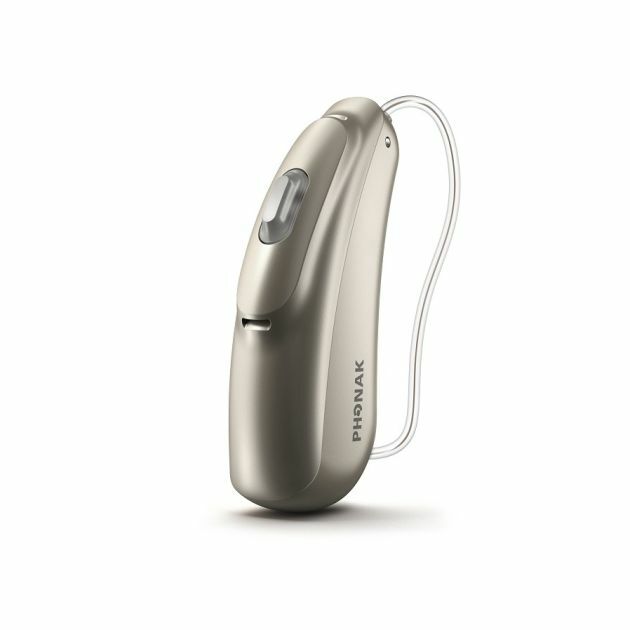 Phonak Audéo B-R rechargeable hearing aids come with a choice of easy-to-use charging options. Compact and multi-functional chargers mean that you can choose the right solution for you and your lifestyle. A power pack is also available to attach to the Charger Case, providing 7 full charges for two aids so you never have to worry about running out of power, wherever you are. With Phonak Audéo-B, you can rely on your hearing aids to adjust themselves seamlessly as you move to a different situation, without any manual input needed. Its operating system, AutoSense OS, analyses where you are in real time and selects the features to run, blending them to provide you with over 200 different settings to precisely match your environment. AutoSense OS has been newly updated for Audéo-B hearing aids, to help give you better speech understanding by focusing on a single voice in a noisy environment. It also offers better hearing with less effort when you are in the car, better understanding of quiet voices compared to previous Phonak aids and fantastic music sound quality too. 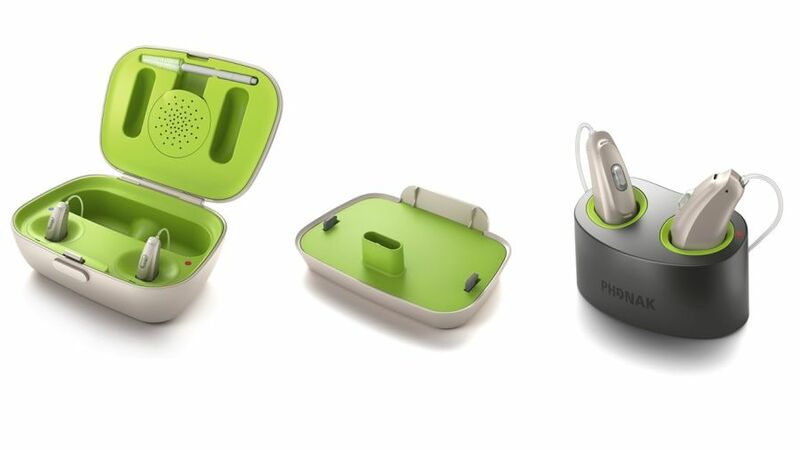 Phonak Audéo B hearing aids are available in five different models, one of which is the rechargeable Audéo B-R. All five are IP68-rated against dust and water, so you can carry on with all the activities you love without worrying about damaging your aids. 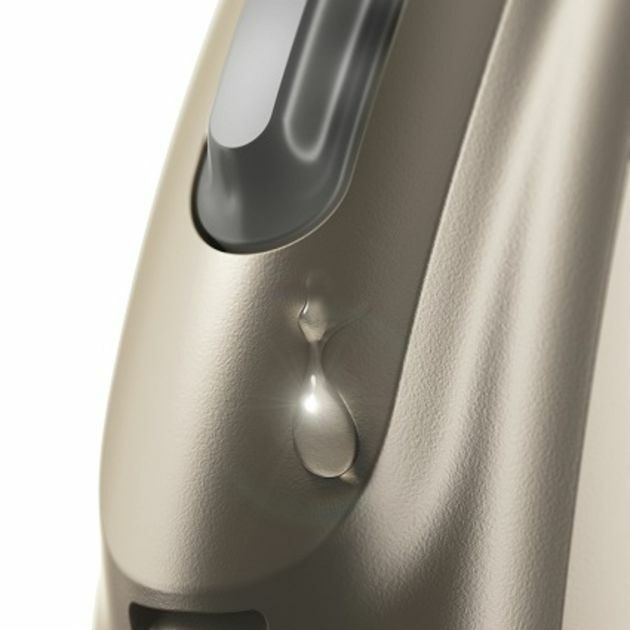 The Phonak Audéo B is available in up to four different performance levels and a choice of nine different colours. As a result, with the help of your Leightons audiologist, your Audéo B aids can be perfectly tailored to suit your individual hearing needs, as well as your own personal style. With Leightons Hearing Care, your expert audiologist will be able to help you decide whether Phonak Audéo B hearing aids are right for you, and will take as long as you need to help you have them comfortably adjusted to your own requirements. We even offer a free hearing aid demonstration and a free trial to give you time to decide on the solution for you, as well as a convenient payment plan. For more information on Phonak Audéo B hearing aids or free hearing tests with Leightons, call us on 0800 40 20 20 or visit your nearest branch. Alternatively, you can book a free hearing assessment online.